Very smart - just what I need for wearing to the theatre in Spring and Autumn. 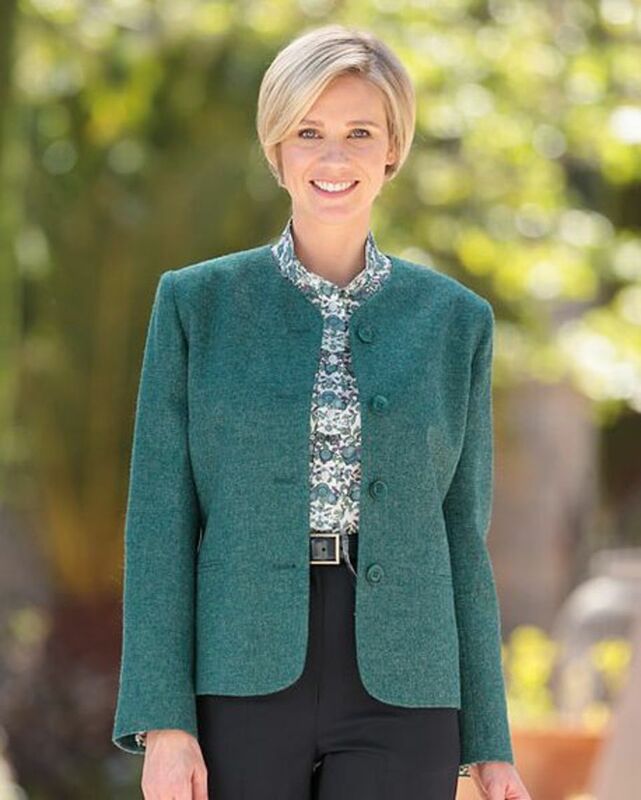 "Very smart - just what I need for wearing to the theatre in Spring and ..."
Ladies classic fully lined jacket, round neck style with four button fastening. Shaped panels front and back and jetted pockets. Medium weight pure wool green tweed, woven for us in the UK . This jacket will give you a classic elegant look for years to come.